Which staff are responsible for ICD-10 coding within your agency? Are these personnel trained in ICD-10 coding? At what point during the episode does coding get finalized today? Are any external professionals involved in code selection, such as therapy? Do you have access to upstream documentation that can assist with code selection? How are coding changes identified and documented mid-episode? What processes are in place to check coding accuracy prior to claim submission and when do they occur? 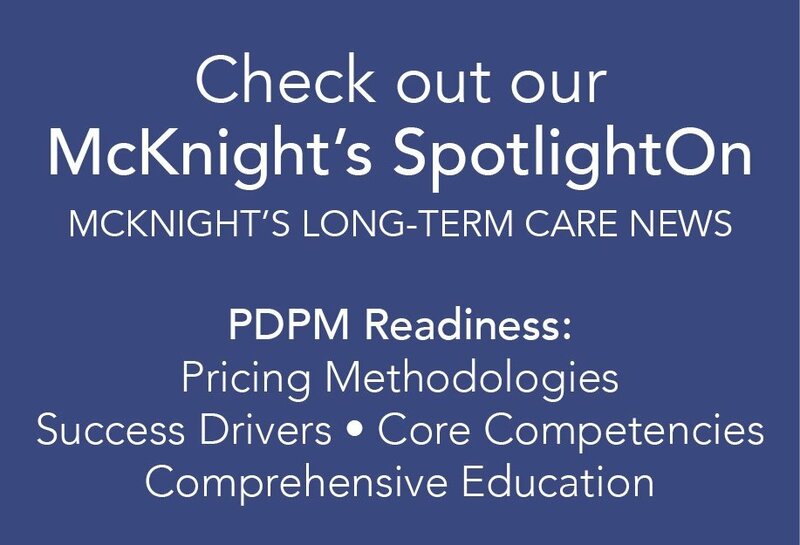 What percentage of your caseload today is being coded into diagnoses that would not qualify for payment under PDGM (RTP)? Have you completed a recent analysis of coding trends? Are a lot of “general” codes being used? Do you have a process in place to engage physicians in obtaining a comprehensive medical history in order to capture all comorbidities? Would it be beneficial to consider outsourcing coding functions? It is likely that coding practices will need to change dramatically, both in terms of timing and IDT workflow, as well as training of those responsible for coding. Without accurate coding, HHAs will not be paid appropriately for the necessary resources to care for patients effectively. In combination with required billing changes, ICD-10 will have a great impact on revenue cycle going forward. Any ICD-10 code that is not included on this list will result in a RTP or “return to provider” claim status. Forty percent of the diagnoses currently accepted under PPS will not be accepted under PDGM as a primary diagnosis because they have been determined to be too vague to single out a clinical grouping. This will result in a claim being kicked back for proper coding to occur with resubmission and will have significant cash flow implications for the agency. To assess risk in this area, agencies can review a list of commonly used codes (i.e., muscle weakness) that do not fall under a PDGM group and will be returned for re-coding and re-submission of the claim (RTP). The intent is to ensure a greater level of coding specificity, while documenting the actual medical reason that is driving the need for home health services. 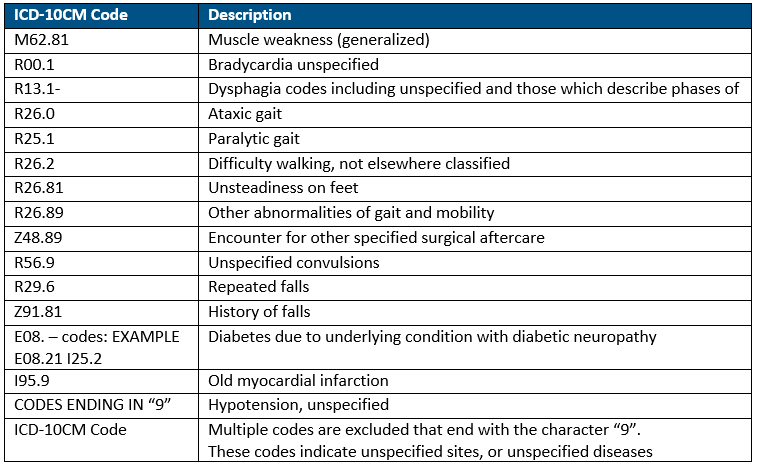 Below is an example list of commonly used ICD-10 codes that do not fall under a clinical grouping and will result in an RTP (return to provider). Review of current ICD-10 codes and trends within your agency and how those will fall in the new clinical groupings of PDGM is a very impactful and an important exercise to consider as you prepare for PDGM. Also determining potential opportunity for comorbidity adjustments will be important. Ensuring you have a complete medical history with all relevant ICD-10 diagnosis on each patient will support success in the PDGM model. This can be incorporated into the referral and intake process and should include a level of physician engagement. HealthPRO® Heritage at Home is prepared to help you execute and succeed in this transition! We understand the changes required for success and have the ability to support agencies in assessing related risk, making necessary changes, and developing collaborative care management processes aligned with the success drivers of PDGM. In addition, as a trusted therapy partner, we want to be involved in developing processes that will appropriately assess care needs and assure timely documentation in support of revenue cycle objectives.